There are 2 kinds of builds. One: the builds made by professional/amateur builders. Where everything is estimated and counted… Every working hour, component or accessory bought, installed, fabricated, outsourced is added. 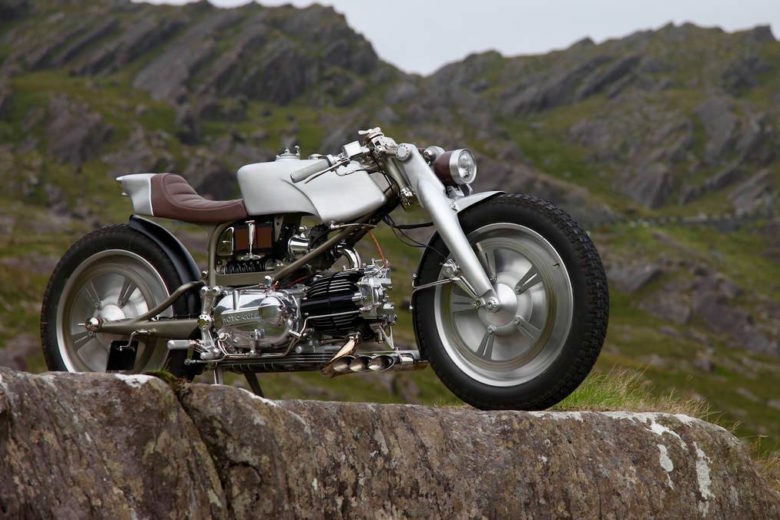 Put a donor bike on top… and some margin – and You got Yourself a final cost. 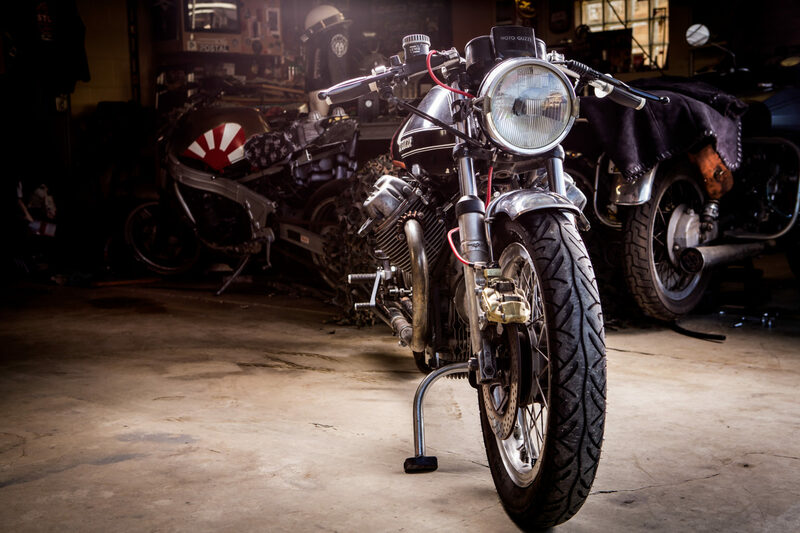 The other kind of builds – are the ones created by builders, that don’t count so precisely, as – the donor bike has sentimental value. These, when finished, can be even considered as priceless. 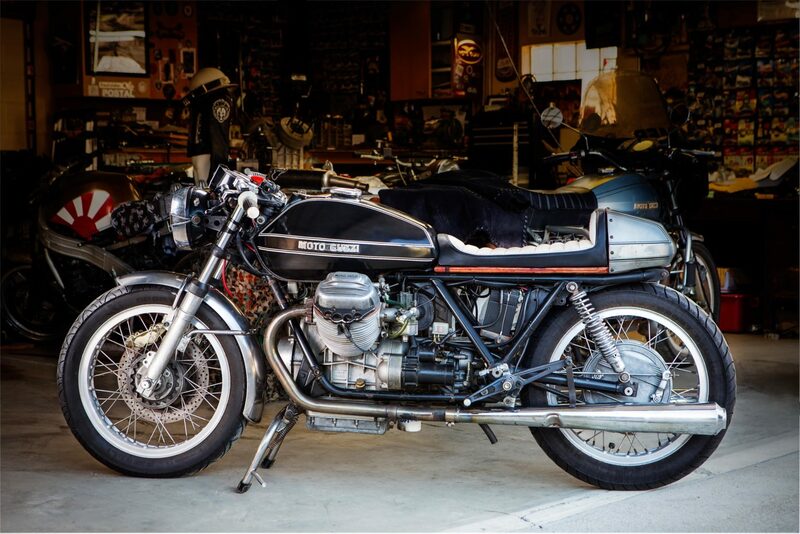 I met Jeff a few days ago, on one of Facebook’s Cafe Racer group, where he shared a photo of this Moto Guzzi. We exchanged a few comments, and I wasn’t expecting the narrative behind this bike. 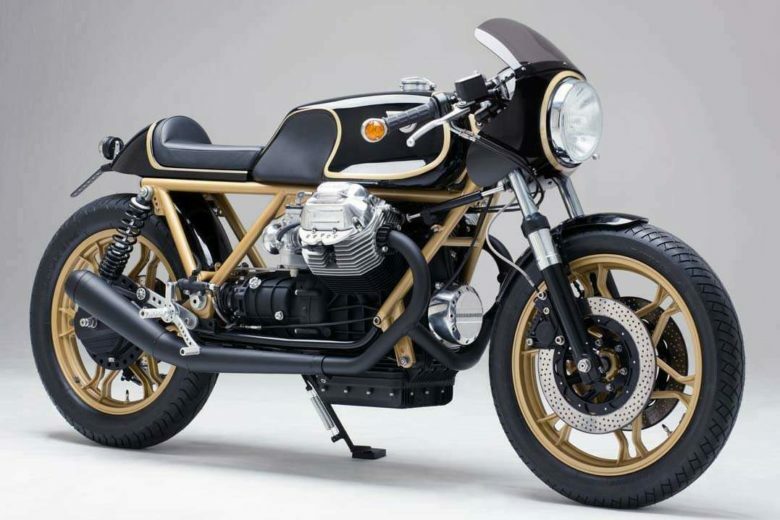 His classic Italian beauty from Mandello del Lario has a story to tell. 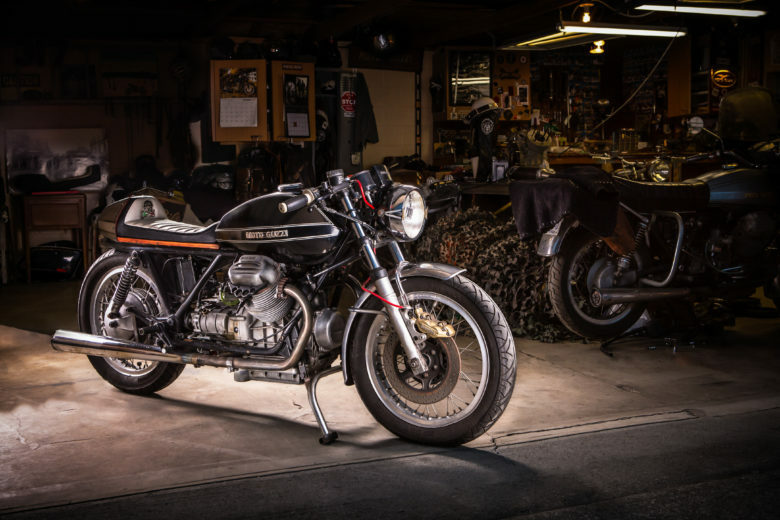 1975 Moto Guzzi 850T that was owned by my father David Parrish. I drove halfway across the US, from Indiana to New Mexico and back in three days, to pick it up from over 20 various motos he had after he passed away. I should have taken a trailer and brought all of them back but I didn’t know I’d catch the building bug as I did. Anyway, the bike sat for a number of years while I learned how to ride and wrench on newer bikes. Around 2013 I felt confident enough to tear it all apart and make it my own. I rebuilt it, touching every system starting at the front end and working my way back. I kept as much patina as I could, including the fuel tank which had been painted by my dad. I had it together and running for awhile then blew the original engine. I replaced it with a freshly rebuilt V1000 Convert engine with a lighter Lemans flywheel. 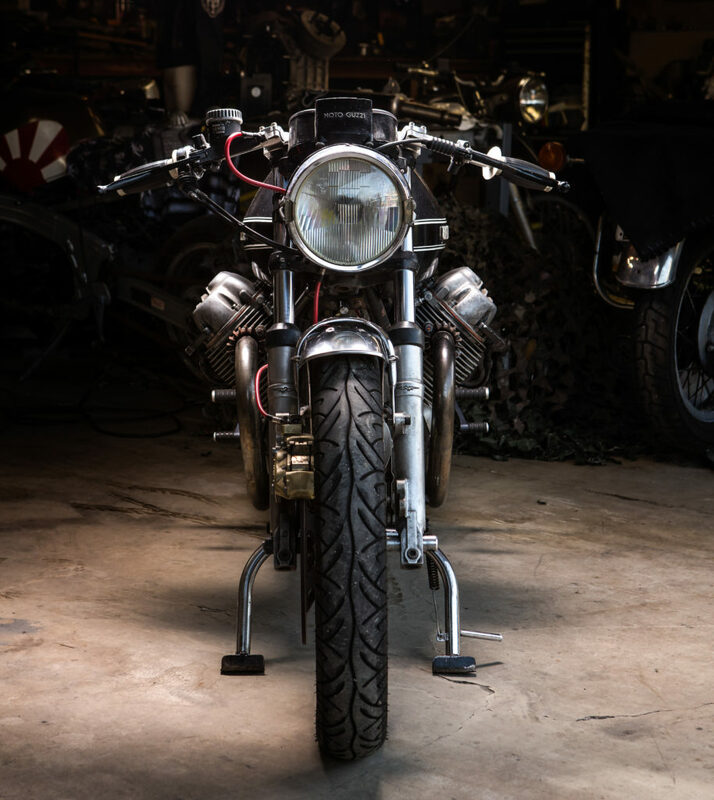 The tail section is a chopped and sectioned Guzzi tank mounted to a wooden base made with an old bosuns chair from my high rise window cleaning days. The entire electrical system was replaced, including a wiring harness from Gregory Bender of This Old Tractor fame. 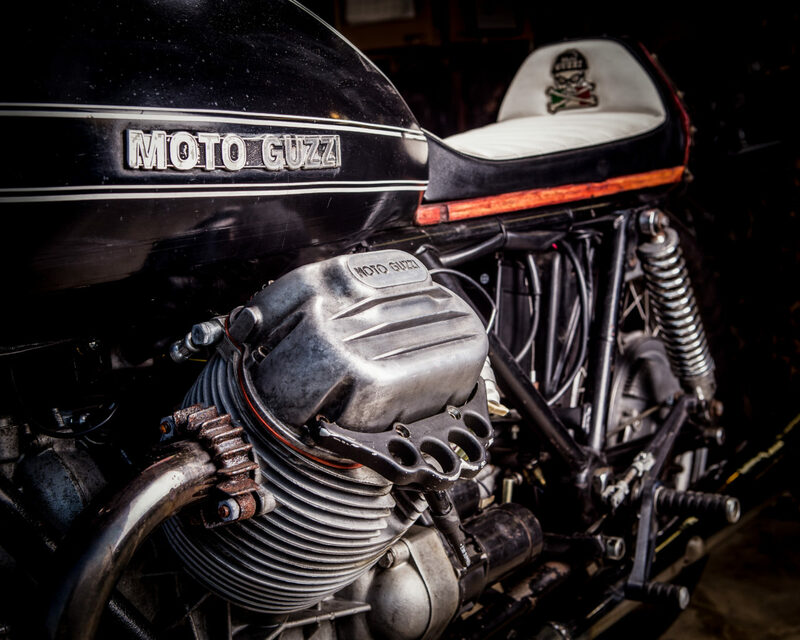 Other components installed include Spiegler stainless brake lines, Brembo four-piston callipers with adapter plates from Guzzi Power, Domino Dog leg brake and clutch levers and Tarozzi rear sets. Front suspension was lowered. The dash was modified the way to keep the profile clean. 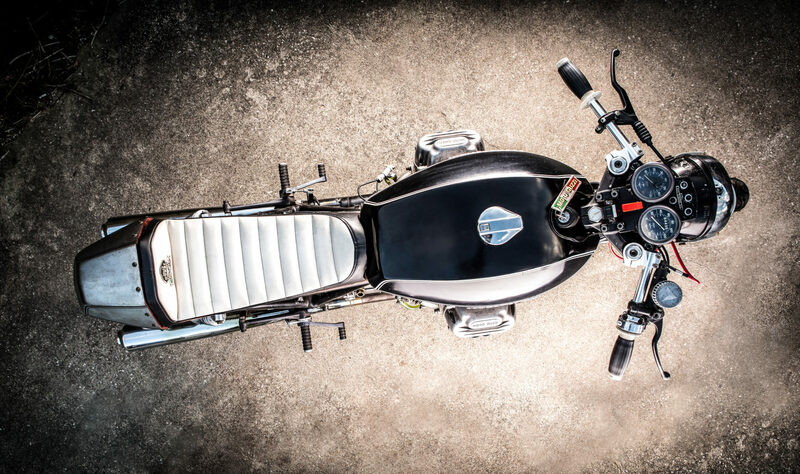 Look how beautiful and clean these minimalistic Vortex clip-ons look. 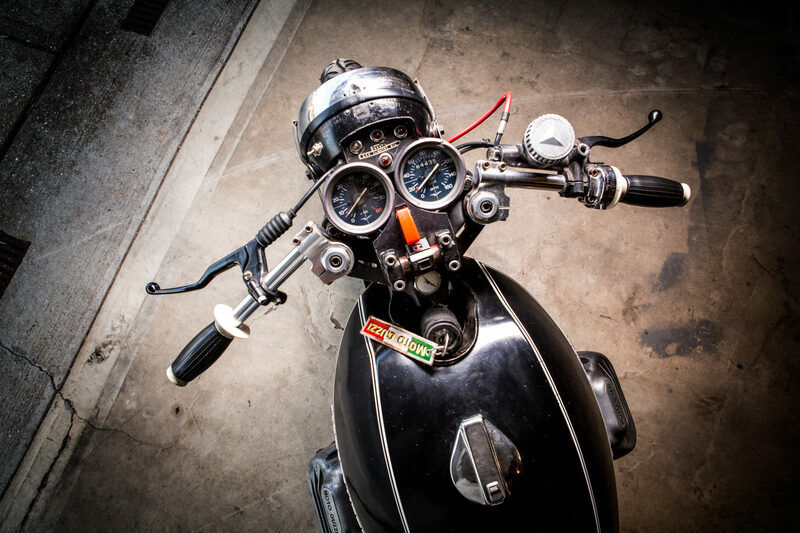 Perfectly wrapping around these double dashboard analogue speedo and tachometer. Modern Pirelli Sport Demon tires on 18” Boranni rims keep it on the road. 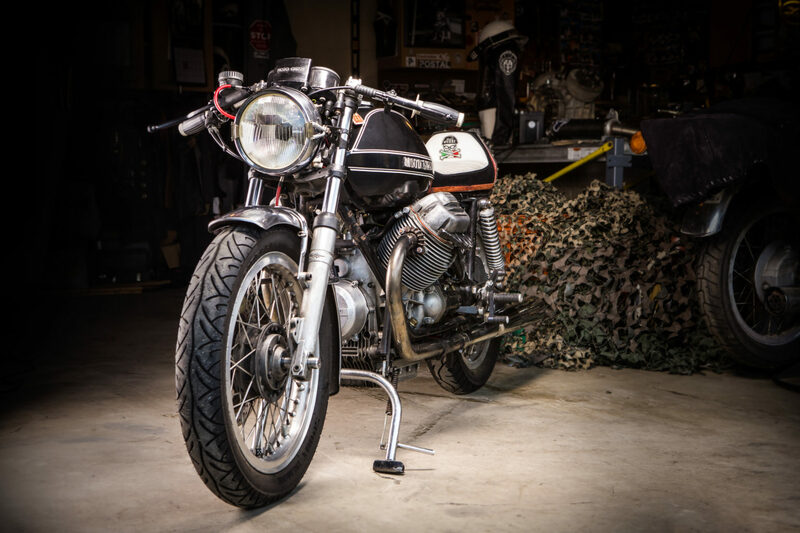 Excellent choice of rubber for a motorcycle built originally for touring. The general proportions of this build are well designed. It wasn’t only a trip through the sentimental line – this build defends itself with its presence, not only by the “family background”. I like the patina look and feel. The custom-made tail is one of a kind. 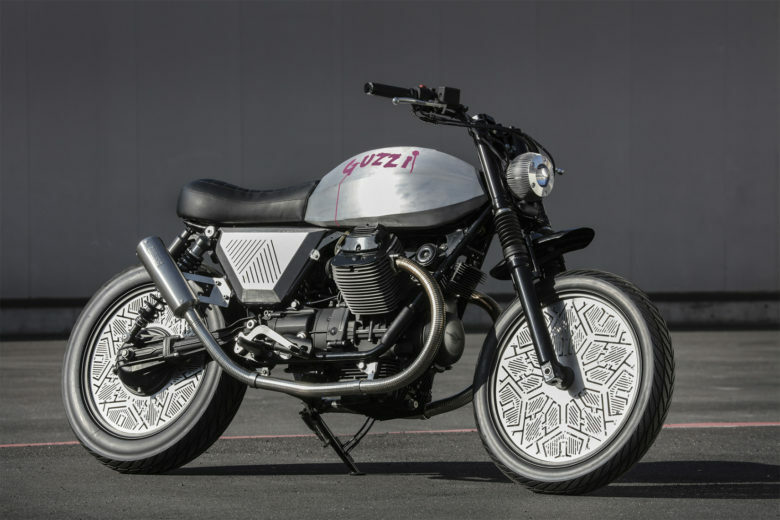 There are not many Guzzi’s that are not made as candy looking toys. 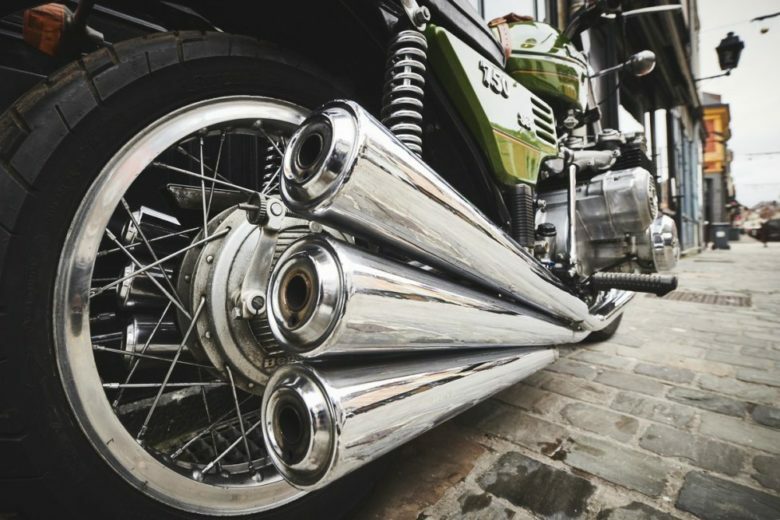 There is just something about these bikes… Maybe it’s the Tonti frame, or big 18 inch wheels, or these engines presence… almost perfect symmetry. I don’t know which of the above makes them so special, but the older they are – the better they look.